Back to school and work this week so everyone is tired again. Week 45 of Project 365 for 2015 saw lots of fog and rain; not the best weather to keep us all jolly. 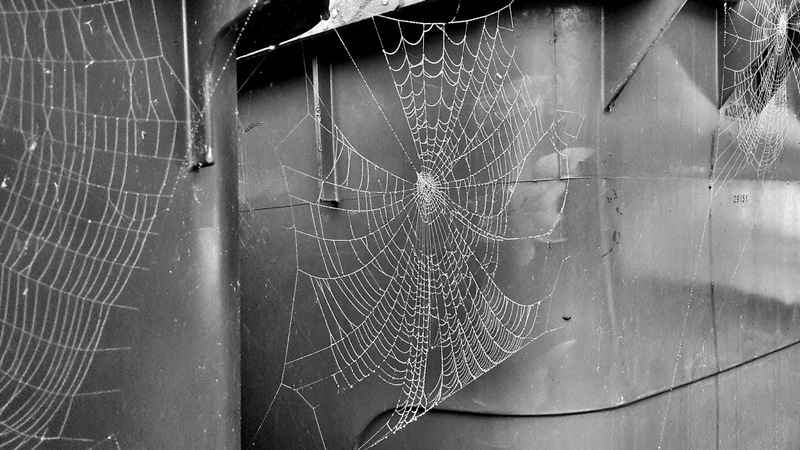 A foggy Sunday morning meant the most beautiful cobwebs were on show strung across between the wheelie bins. The kiddos were still home and we had a lazy day but went out for a wander to the local DIY store for blackboard spray paint for a work project. 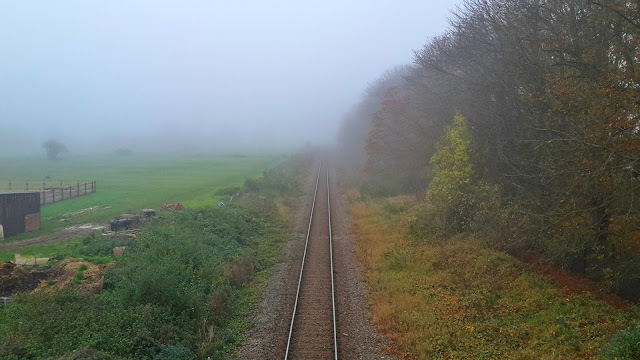 The railway line soon disappeared into the fog. 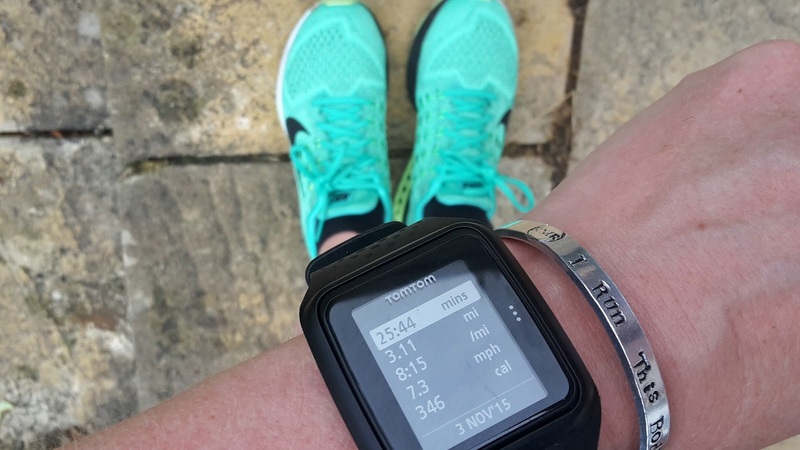 Time to take my new Nike runners out for a spin today and I took a whole two minutes off my 5k PB - I was so happy! 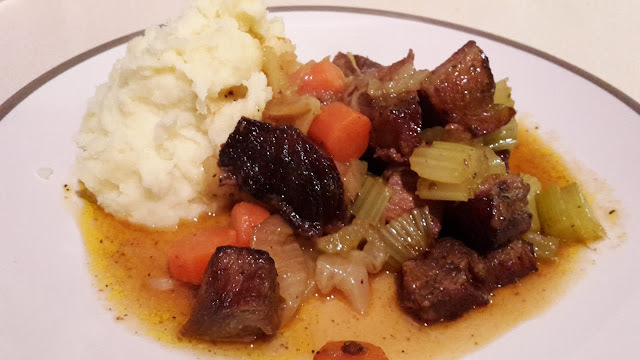 Back to work blues hit today but the husband had a hearty beef stew on the table on my return. 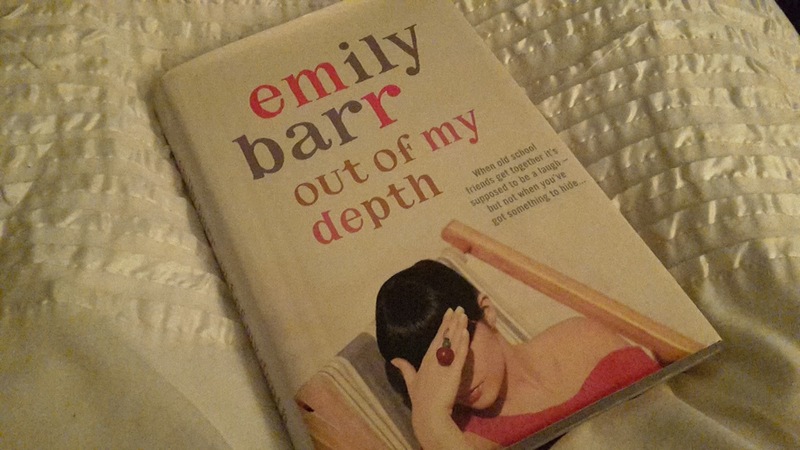 So tired today so off to bed early with my latest book - a £1 bargain from the second-hand book room at Avebury Manor House. Still tired and no other photos snapped today as it has been so busy. 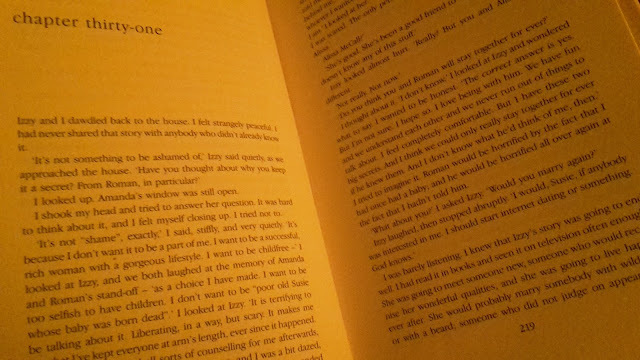 Ploughing through the book with some more bedtime reading. 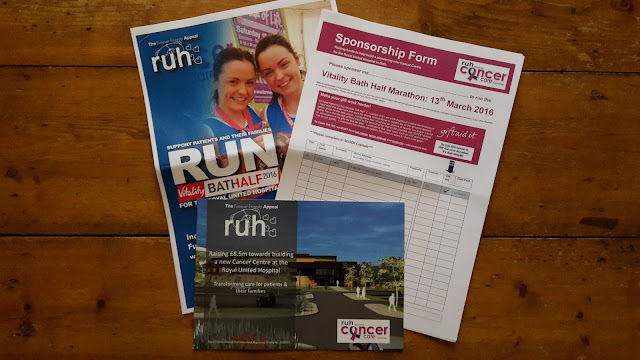 The post today made me realise things are getting serious with the running; my sponsorship forms arrived from the Bath RUH for the Bath Half marathon. That was the motivation I needed to head out into the wind and rain for a comfortable 4 mile run.